Buy this cheap tote at a low cost and get a logo printed on Advertising Bags. Applications include advertising, marketing, convention, tradeshow, more. No matter what the use, know the bag has a extra large logo print area. Construction is 80 gr non woven polypropylene with interior seams. 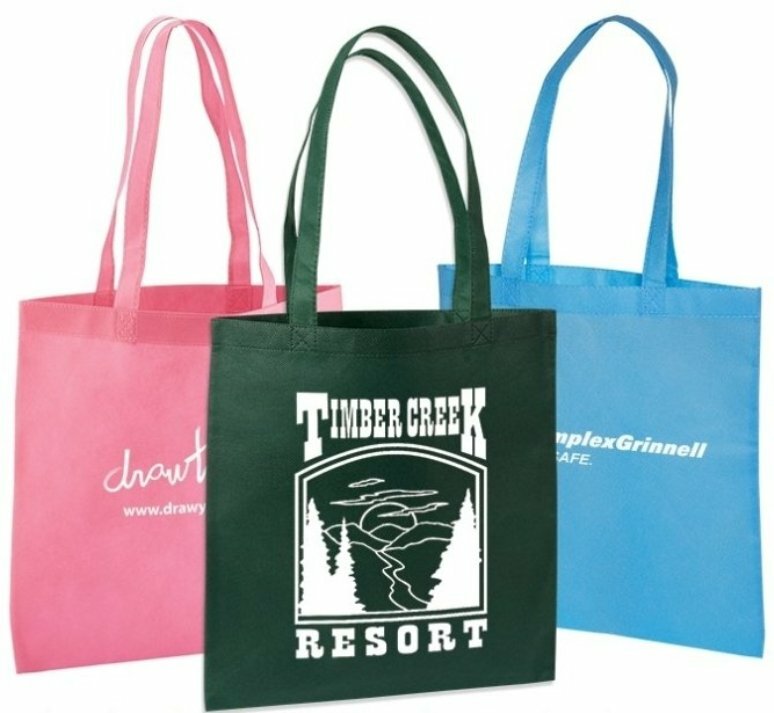 Advertising cheap tote bag is 13 1/2 w x 14 1/2 h & 22" Handles. Price includes a one std. color print on front area 8" w x 8" h.
one add $55 setup & running charge of $.65 each unit.